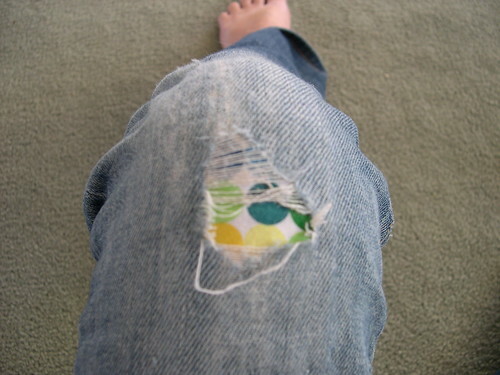 Published on October 22, 2006	in Sewing. 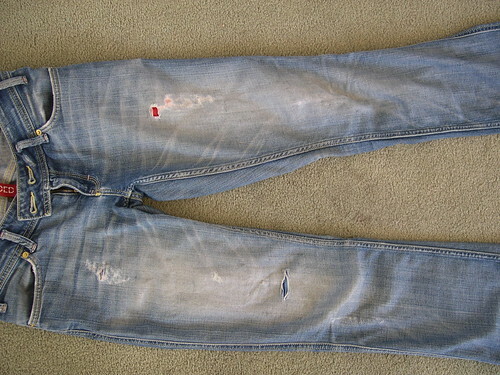 1 Comment Tags: jeans, mending. 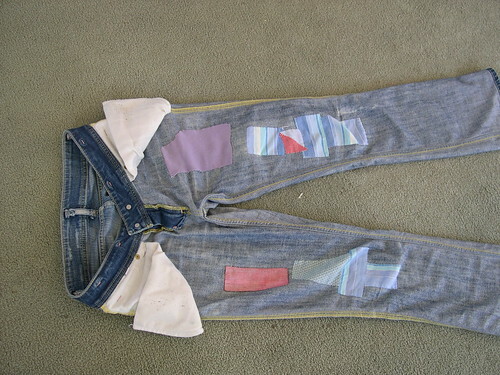 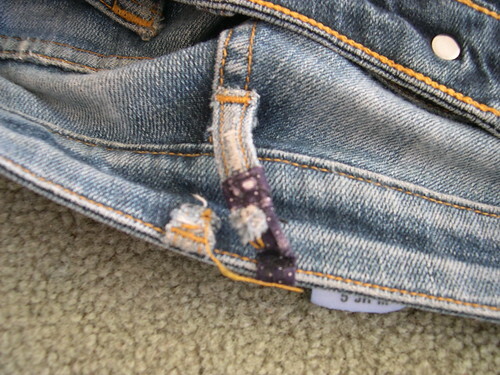 Thats awesome… i’m doing the same thing to a prir of my jeans but the patches are on the outside….